Is Golnesa ‘GG’ Gharachedaghi Leaving ‘Shahs Of Sunset’ After Storming Off Season 7 Reunion? Tension was in the air during part one of the Season 7 Shahs of Sunset reunion, and the drama hit a high point when Golnesa Gharachedaghi, aka GG, had an angry blowout with Reza Farahan and then abruptly left the set, leaving everyone speechless. GG had thought she and Farahan had moved past their problems, and when she found out Farahan still had an issue with her, it came as a shock. Things started to get tense when GG confronted the group about inviting her ex-husband, Shalom’s ex-wife to Mercedes Javid’s Valentine’s Day Party. Everyone knew the connection to GG, and the invitation clearly upset her. Farahan still keeps in touch with Shalom, even though he is suing GG and making it impossible to finalize the divorce. And, since Farahan and Shalom are still in contact, GG is upset that everyone seems to believe him over her. “I keep being the aggressor because I’m the loudest one in the room and I bark, and I bite, and I do all of that. But, there’s the people under the table that are doing this and this and this (makes poking gestures), until you do that,” GG explains. At that point, host Andy Cohen joined the conversation and asked GG if she was implying that it was outside forces at work. GG replied “Of course!” and then she explained that Farahan just sits and giggles as he invites the ex-wife, and doesn’t care how much that hurts her. Then, Farahan and GG started going back and forth in a war of words over who lied and who got hurt. And when GG admitted that Shalom was suing her, she said that she wouldn’t be called a liar and she was done, before storming out. But, the drama doesn’t end there. Newlyweds Tommy Feight and MJ had life-changing news to share after they talked with her mom, Vida. And, Farahan and his husband shared what challenges in their marriage almost led them to divorce. And, Mike Shouhed went on the defensive about his treatment of women after another failed relationship. As for GG, she has also been opening up this week about her past struggle with drugs, and she confessed on E! News that she first tried drugs at the age of 11. She ended up checking into rehab at the age of 25 because she developed a “massive” drug problem, but she was eventually able to work through her addiction to hard drugs and has now been sober since 2005. However, GG remains a passionate advocate of cannabis use. Part two of the Season 7 Shahs of Sunset reunion airs Thursday, November 29th on Bravo. 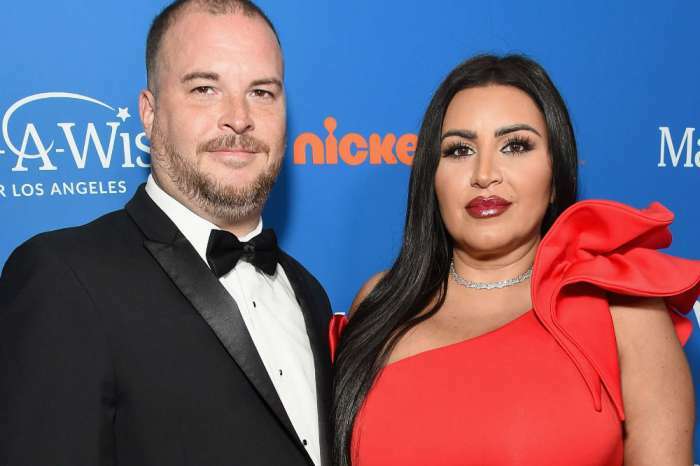 Shahs Of Sunset Star MJ Javid Give Birth To A Baby Boy At 46! Reza and Merecedes are miserable who deserve each other. GG is better off not having negative people like that in her life. I usually don’t like gg…but she was right,,,they are full of sh**.